I used to pooh-pooh gray quilts because I live in a gray climate. Yes, it's really as rainy in the Northwest as everyone claims. We had a record amount of rain this past December, and it sure feels like we've been under gray skies ever since then. But the modern quilters really like gray. So now I'm starting to like it too. Because I really like the modern quilt look. I found two fun gray print fabrics with a hint of sheen to them in Sisters at The Stitchin' Post this fall. They are both called "Shimmer" , which is produced by Robert Kaufman. I decided this quilt was the perfect place to use them. Then, I decided to use gray for the background and had to run out and buy that at Fiddlesticks in Vancouver, WA. Now that the top is all sewn, you can get a sense of how "gray" this quilt is going to look. 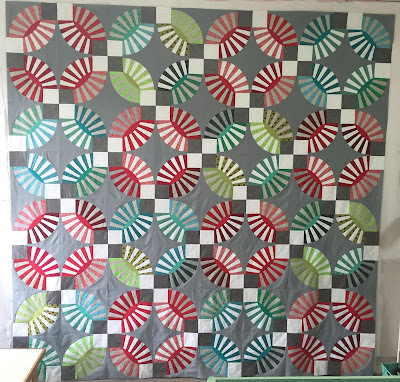 I think I'm going to use some of the gray scraps for a smaller holiday quilt too. Who knew I'd be sewing gray during the gray time of the year? 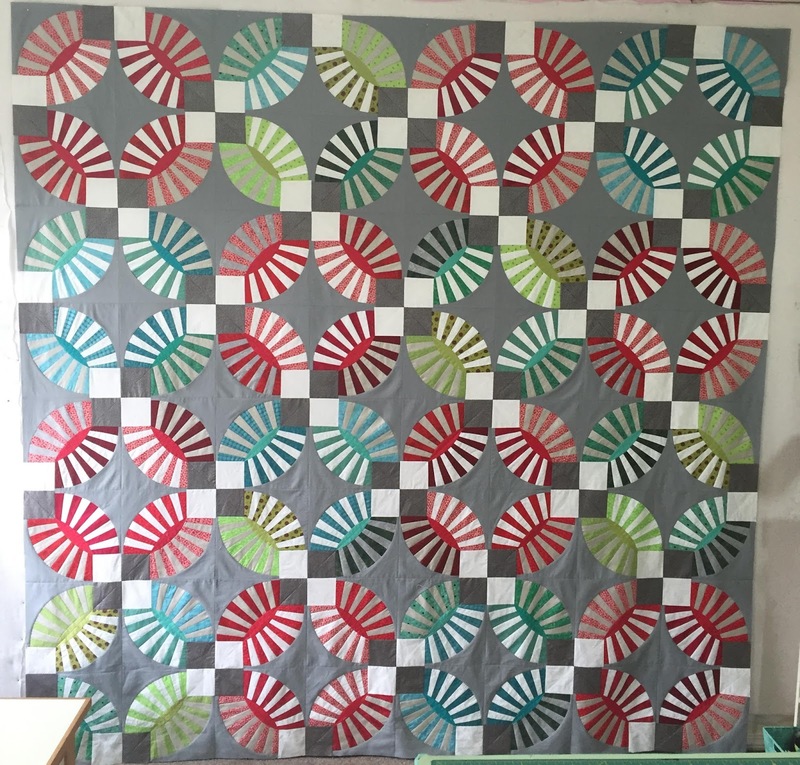 Let me know what you think of gray in your quilts. Yes, I'm always thankful when the top is done. This one is too big for me to quilt at home, so it'll be quilted "by check", which is favorite technique of mine! Raven's Nest Art Quilt "Hungry"